The Powerhouse is delighted to host Christine Theodorovics, Zurich Insurance CEO of Life, Austria to discuss how women can think and plan for the different phases of life to ensure maximum financial security and protection throughout those stages. How often do you think about financial protection for your future? Christine is an Austrian-Swiss national who is CEO of Life Austria, where her responsibilities include all life activities in Austria, a €200m business, which are sales, actuarial, products, operations and marketing of Zurich Insurance AG in Austria. 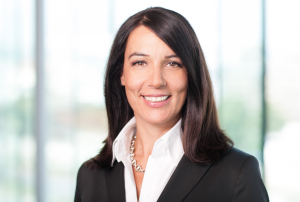 Christine is also the Vice Chairman of the Non-Executive Board of the pension funds BONUS Pensionskasse, BONUS Vorsorgekasse as well as the Concisa Consulting in Vienna and member of the Non-Executive Board of the Zurich Deutsche Herold in Bonn, Germany. Christine holds a Masters in Business Administration from the University of Economics and Business Administration in Vienna, a Master in Arts in European Studies and Economics from the College of Europe in Bruges, Belgium and a Diploma in Banking of the Swiss Finance Institute in Zurich. Christine speaks five languages fluently and has been living and working in several countries all over the world. Christine is a keen mountaineer, runner and scuba diver as well as passionate traveler and photographer.